Humidifiers treat dry skin and chapped lips during winter months. The indoor humidity levels of furnace-heated air can drop to 10 percent or less, notes Mount Sinai School of Medicine dermatology professor Hillard H. Pearlstein, M.D. on MotherNature.com. Humidifiers add much-needed moisture to the air and to skin. Use several small units near beds in the house and keep doors closed in rooms where a humidifier is in use. Just as humidifiers treat dry winter skin, it soothes skin dryness and itchiness. Low humidity levels exacerbate symptoms of eczema, notes the American Academy of Dermatology on its EczemaNet website. Psoriasis, thyroid disorders, topical medications for acne, and cosmetic products can also cause dry skin that can be eased with a humidifier. Humidifiers soothe dryness, irritation or itchiness in the nose, nasal passages, sinuses, mouth, throat and eyes. They help prevent nose bleeds in those prone to them when their nose is dried out, notes MayoClinic.com. Hence, humidifiers benefit people with a cold, flu or allergies. 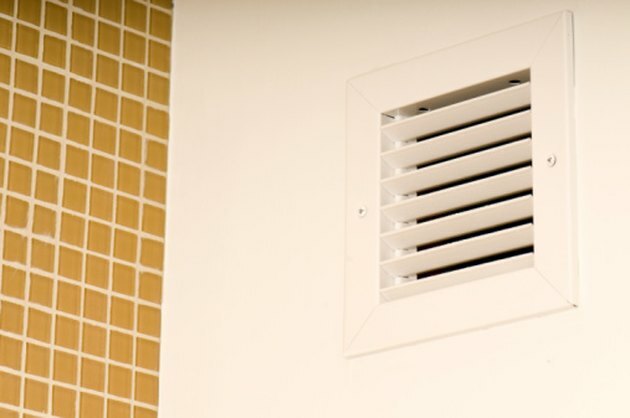 They even serve as a preventative measure, limiting or eliminating viruses and bacteria that thrive in dry air, explains the Aerias Indoor Air Quality Resource Center. However, over use of humidifiers can lead to growth of pathogens and allergens. Children and adults with asthma often find humidifiers help their breathing, especially when the condition is compounded by a respiratory infection, says MayoClinic.com. Those with asthma should check with their doctor before using a humidifier, though. Humidifiers must be kept clean to keep the air free of asthma irritants. Humidity levels kept too high can also make things worse, prompting the growth of mold or mildew. Besides health benefits to people, humidifiers offer benefits to your home, as Aerias points out. They reduce static electricity in the air. In addition, they can help preserve a room's appearance by slowing the peeling of wallpaper and preventing cracks in paint and furniture.